On Sunday, April 23,2017 the Gonzales sisters will return to BUMC and present musical offerings at both worship services. Since their last appearance at BUMC, Kearston, age 12 and Kendall, age 10 have been very busy. 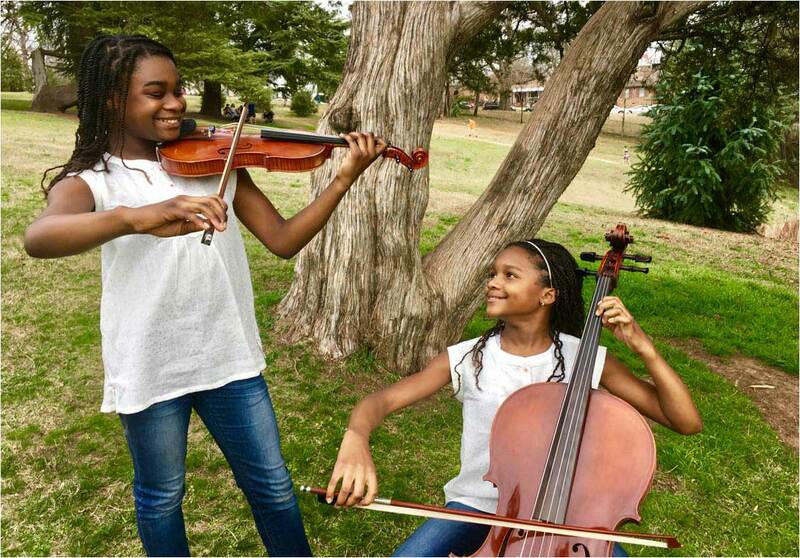 Last summer the girls experienced their very first residential summer camp, the Heifetz Program for the Exceptionally Gifted Summer Music Camp at Mary Baldwin College in Staunton Va. The camp helps talented musicians between the ages of 9 and 13 with chamber music and solo repertoire. In September 2016 the sisters performed the “National Anthem” in Washington, DC for the Washington M ystics WNBA game and also in December 2016 in Charlotte, NC for the Charlotte Hornets vs. the Miami Heat NBA game. Their busy schedule continued in January 2017 when the sisters performed the “National Anthem” in Houston, TX for the Houston Rockets vs. The Golden State Warriors game. In Feb 2017 they performed in Greensboro, NC for the International Civil Rights Museum 20th Year Anniversary Gala.